11 Nov 2010, Genting Singapore announce their Quarterly Result. Unfortunately, it was below expectation. 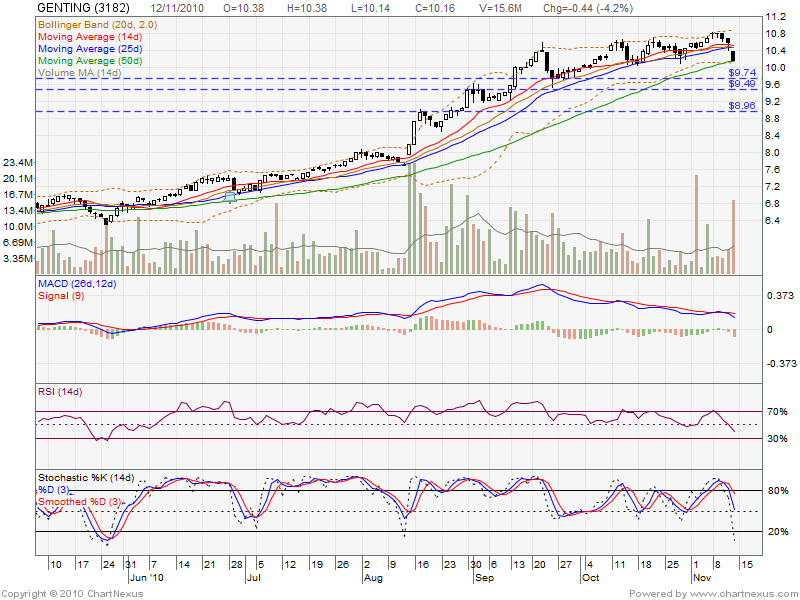 12 Nov 2010, Genting Singapore selling pressure is high (gap down), as mother share Genting Berhad also impacted. Will it rebound on Monday? Or future retrace down? 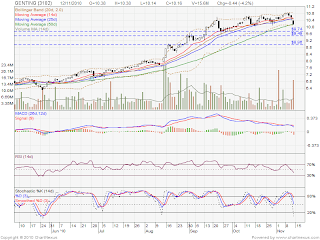 If future retrace down, next support level should be Rm9.74 & RM9.49 level. Or wait for Genting Berhad announce their Quarter Result which is somewhere around end of Nov. If the result above expectation, that will be the time for rebound. Else, it might future retrace down.